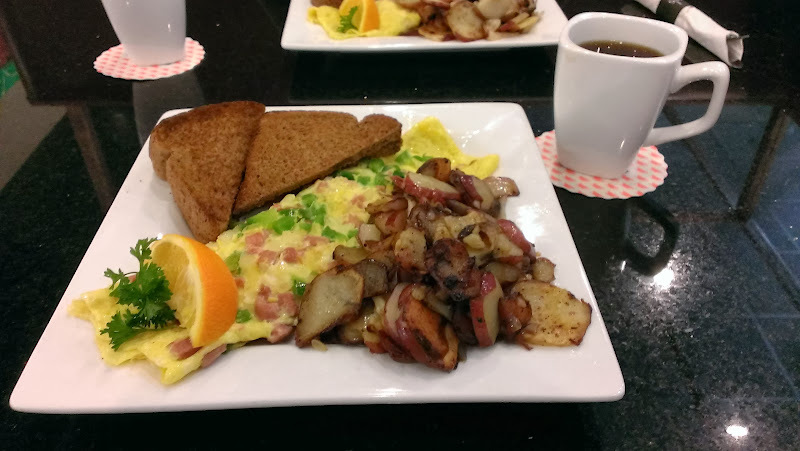 On Sunday morning, January 5th, before packing up the coach and departing Central Park RV we took some time for (yep- you guessed it) breakfast at one of the few breakfast places that Google found nearby, the R-Place Eatery. Being a Sunday, of course it was a little crowded but fortunately we didn’t have to wait long. We both had a breakfast croissant (egg, bacon and cheese) with home fries which was good. As we drove out of the parking lot, we noticed a diner across the street, Egg City, which looked cute. I found out later that it just opened in December. Maybe next time…. Anyway, back at Central Park, we readied for our departure. As we were leaving to go to breakfast we were surprised to note that check out time was 10 am so we stopped at the office to ask if we could stay a little later. But the office is closed on Sunday so we figured that no one was going to bother us. Finally we were ready for to hit the road around 11:45 a.m. Our destination was only about 45 minutes away, Lake Louisa State Park in Clermont. As we got ready, we both commented that we hoped this State Park was better suited for us than Highland Hammock! It was a pleasant drive on SR-27, passing through the usual retail shopping areas, by many orange groves and rolling hills. Rolling hills, something we hadn’t seen any of in our travels further south. Clermont is located about 25 miles west of Orlando and is the home of Florida’s first constructed landmark, the 226 foot tall Florida Citrus Tower, celebrating it’s 50th anniversary this year. Nice area. Following the signs to the State Park, we arrived at the ranger station where we checked in and were told that it was a 3 mile drive to the campground. To the right of the ranger station was an area where we pulled into unhitch the toad. I went ahead in the van, trying to follow the map but somehow drove right by our site. I stopped at the top of a hill and waited for Rob to pull up to me in the coach but he never appeared. When I texted him to find out where he went, he said he was backing into our site (#48). Good thing he didn’t need any assistance from me! 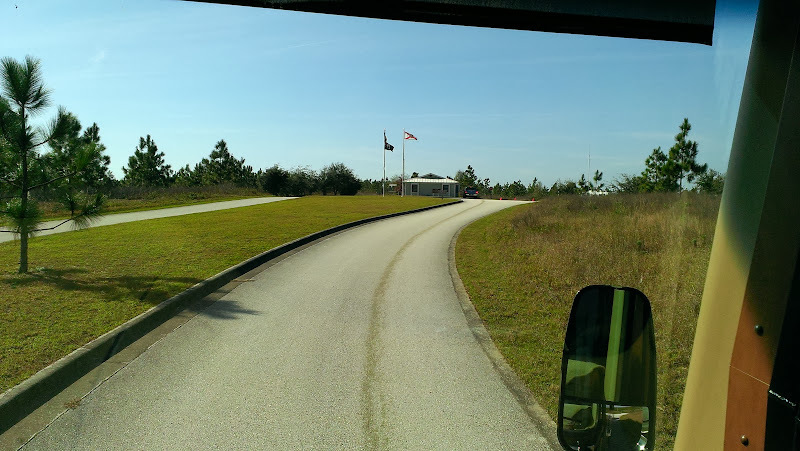 Very nice campground with all paved roads and gravel/grass sites. The campsites are nestled between Lake Dixie and Lake Hammond although there are no direct water view sites as far as we could tell. 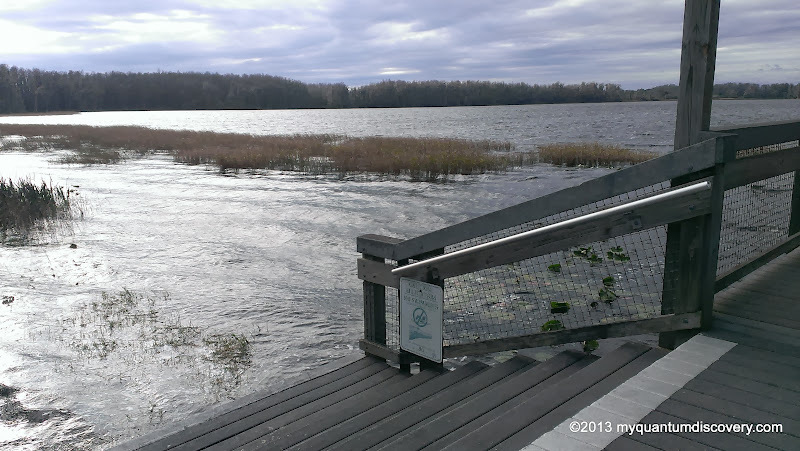 Although, each lake has a dock/pier with canoe/kayak launch steps, but no swimming due to gators. 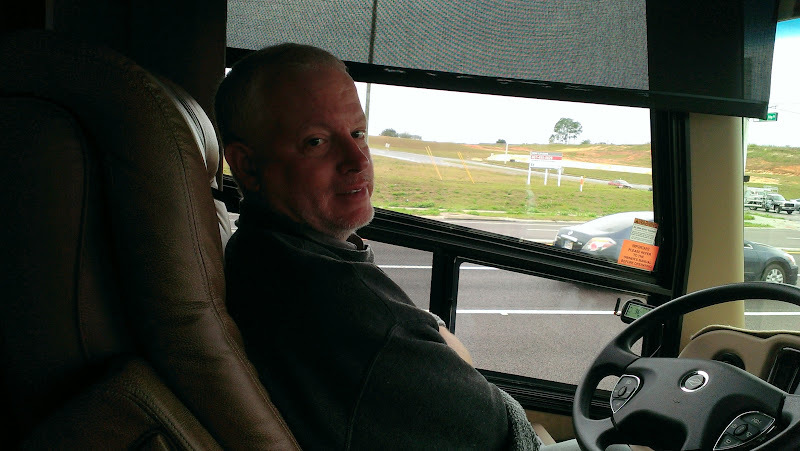 Very quiet and peaceful and much easier to maneuver the coach here than Highland Hammock! Size of the site depends on which one you pick when making your reservations through the Florida State Park on-line system. Only 11 of the 54 sites have sewer (ours didn’t), all include up to 50 amp service and come with a fire ring and picnic table. Size of the sites vary – our particular site for this stay, #48, was a 50′ gravel site so there was enough room for us to park our car in front of the coach. Plenty of privacy due to the bushes and brush on either side of us. Also this was a super easy back-in as it is right at the end of a loop on a curve. And just $11/night at the Florida Resident rate (50% discount). No problems with satellite reception (except on site #50) and Verizon LTE was moderately strong. We didn’t bother trying the OTA TV antenna reception since we get the locals off our DISH subscription. We changed our DISH “service address” to Orlando the first time we went to Disney and so far have not had to change it again in our travels around Florida despite the Spot Beaming of locals – of course that means our locals are Orlando-centric but that has not been any problem. Water pressure is good and electric was strong at 122v/leg and very stable. The campground loops are a little tight but nothing a good driver can’t handle. The sites were clearly designed and built a while ago to accommodate the smaller rigs of the day and many are curved in odd ways that makes situating today’s larger rigs a little more challenging. Also the marker posts are too tall and you need to carefully position your slide outs around them. Even so, I would say a 45 footer would be fine in here if they carefully pick their site. 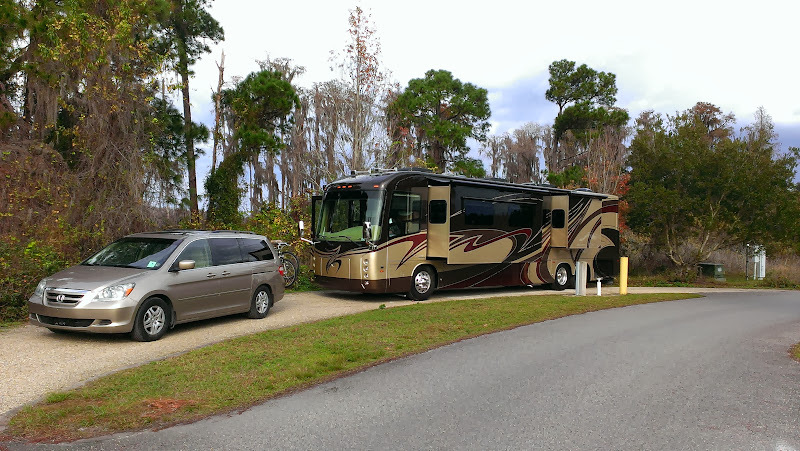 For example, contrary to what you would normally think, larger motorhomes should not choose a pull thru (with the exception of pull-thru site #46) – they are too curvy and in many cases maneuvering around the utilities and marker pole will require driving into some tree branches. Case in point is pull-thru site #50 which is best backed into for a motorhome. Also the pull-thru sites on the inner side of the loops (for example sites 2, 4, 11) have the utilities on the “wrong” side so you need to go the “wrong way” around the one way loop to get situated properly. Larger rigs should favor the back-ins and pay attention to the length of the site. We liked #48 and would definitely choose it again. Even if you don’t have an RV the cabins here looked pretty nice, at least on the outside and most if not all have a view of Lake Dixie. Don’t know the cost but they might be a nice place to stay if you are in the area to visit the theme parks. 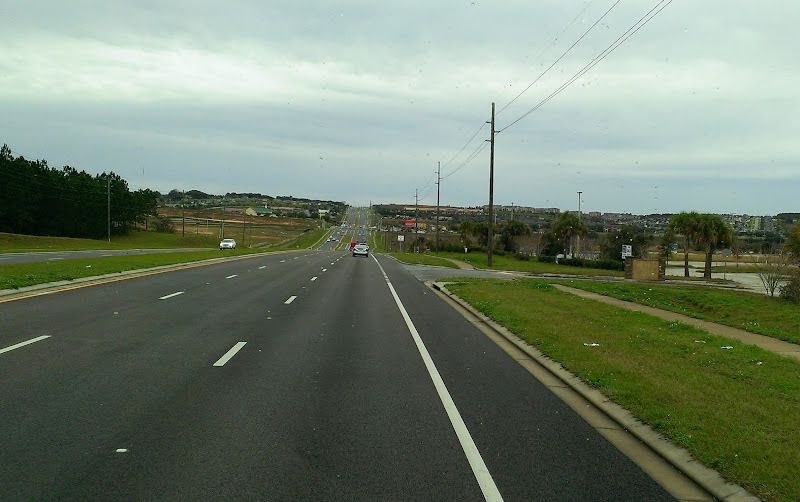 After we settled in, we debated on biking over to Lake Louisa but we weren’t sure how far it was so we decided to drive over instead – it was 4 or 5 miles each way. 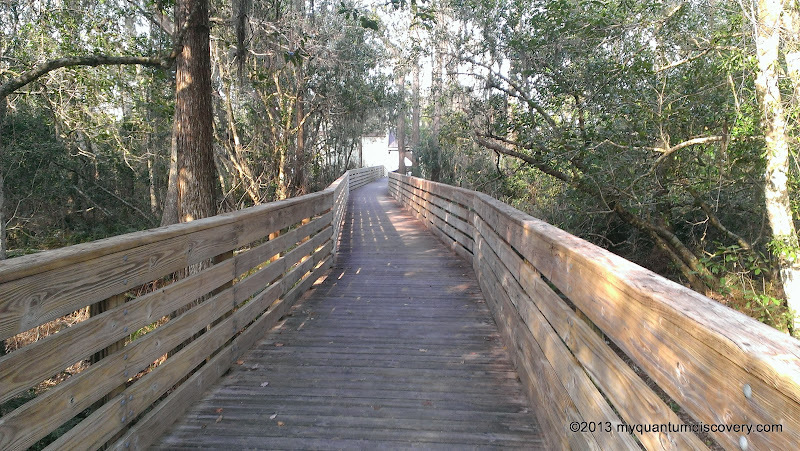 Once there, we parked our van and walked the short distance on the boardwalk to the lake. Lake Louisa is the largest of the 13 Palatlakaha chain of lakes. Swimming is not permitted in any of the lakes due to the presence of alligators. 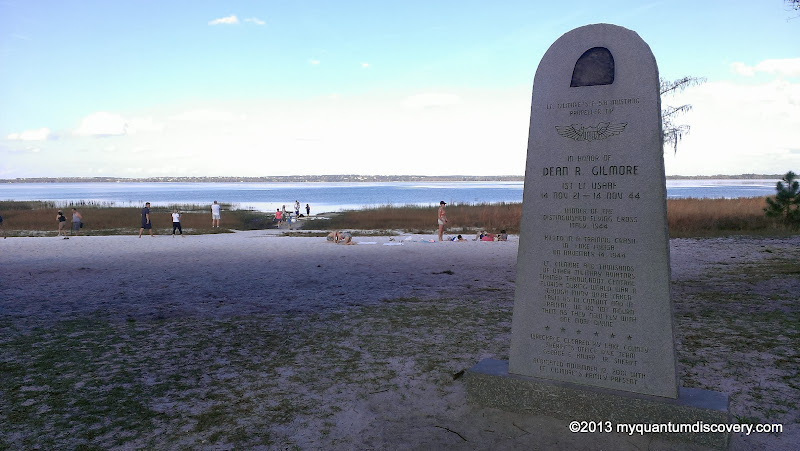 On the beach there is a monument dedicated in 2001 to Army Air Force Lt. Gilmore who was a veteran of 29 combat missions in Africa and Italy during WWII and received the Distinguished Flying Cross for his actions. Gilmore crashed in his plane on his 23rd birthday while leading five other planes during training activities. His body was recovered but his plane wasn’t discovered and recovered until 2001. After walking around a little and viewing the lake, we left and headed back to the campground. On our way back, we stopped at the host site #17 to buy some wood so we could have a campfire that night. 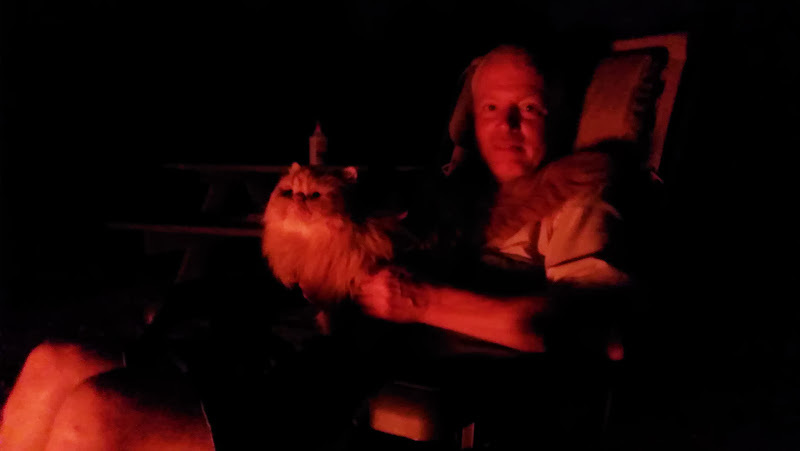 Sparky was happy about having a campfire! He was fascinated listening to all the sounds of the night and watching the sparks float up in the air. 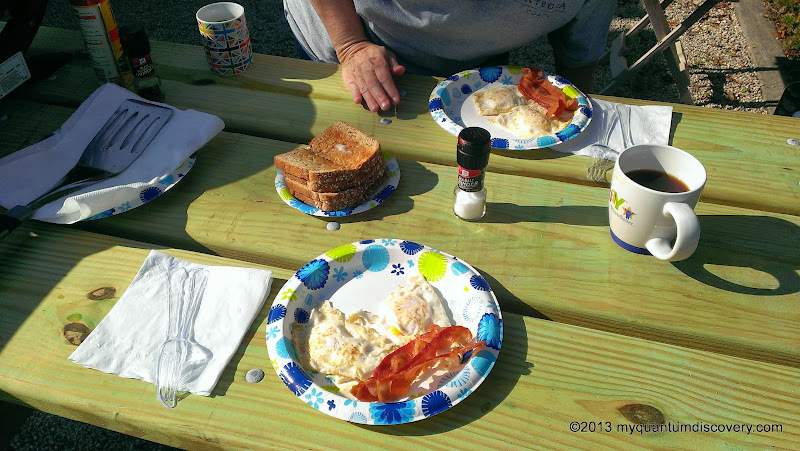 The next morning, Rob cooked us bacon and eggs on the new griddle we bought for our Weber Q grill. Since it was a beautiful day, it was quite pleasant sitting outside at the picnic table. We didn’t do much that day, biked around the campground, taking pictures, enjoying the weather, etc. 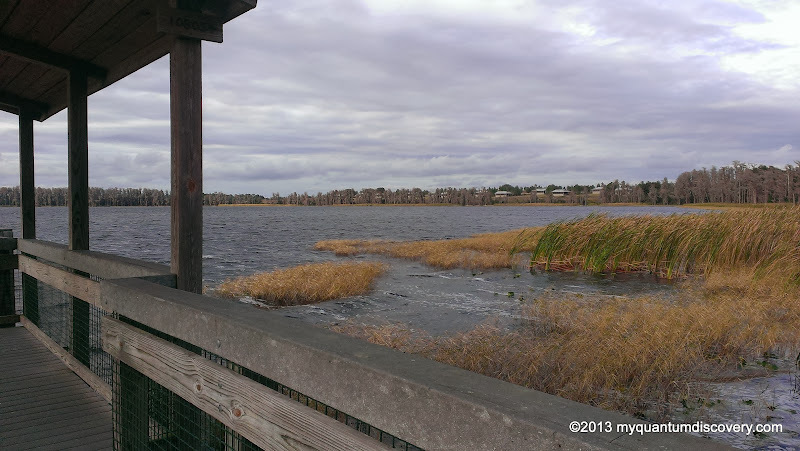 A cold front had moved in across Florida that afternoon so the temps dropped rapidly. That night there was a freeze warning with expected temperatures down in the 30’s and daytime temps only in the mid-40’s! From the 80’s to the 40’s in one day! BRRRR! No snow though and it would only last a day or two so I wasn’t complaining. It never got any colder than 34 as it turned out. Despite the cold weather, we stayed warm and cozy thanks to our electric fireplace – it really takes the chill off and keeps the entire coach comfy – we don’t have to run the propane heat at all unless we want the tile floors warmed. Rob did set the basement heat to its minimum of 45 degrees just in case, but the AquaHot says warm anyway (electric water heater element) and that’s certainly enough to keep the tanks and cargo areas from freezing in this type of weather. 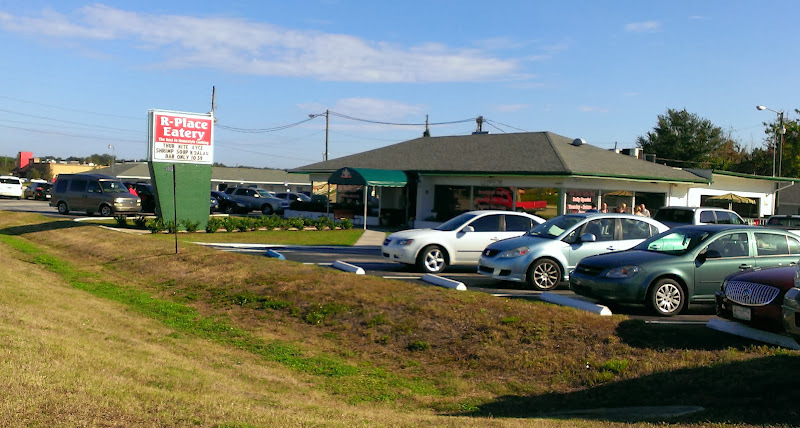 On Tuesday, the 7th, we needed to run some errands and stock up on food so we headed out early, stopping for breakfast at KeKe’s Cafe in Clermont. What a cute place! Rob had a sausage and cheese omelet and I had a western omelet. 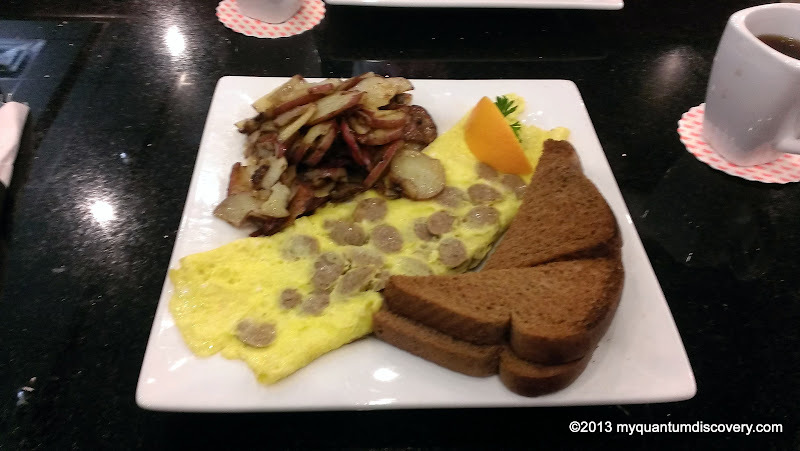 Both came with a huge mound of freshly prepared home fries. Delicious! The food was awesome and the service was great! Plus we had leftovers. 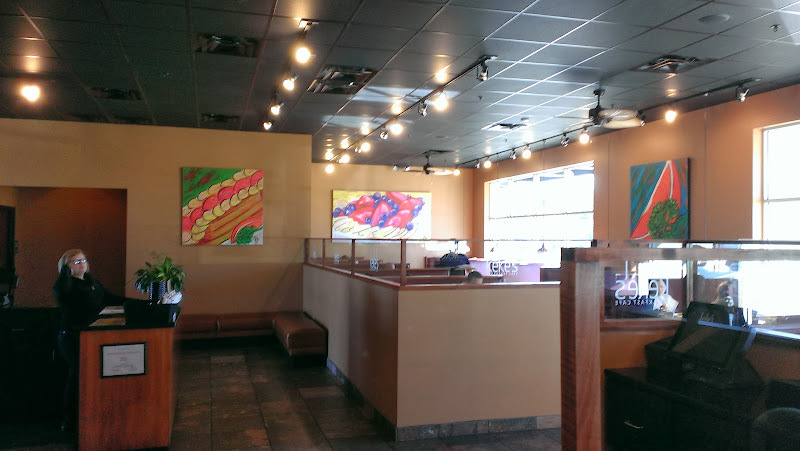 They have 9 locations within FL so stop by if you are looking for a good breakfast or lunch. No 99 cent special here though! After breakfast, we stocked up on supplies at BJ’s and Publix supermarket. 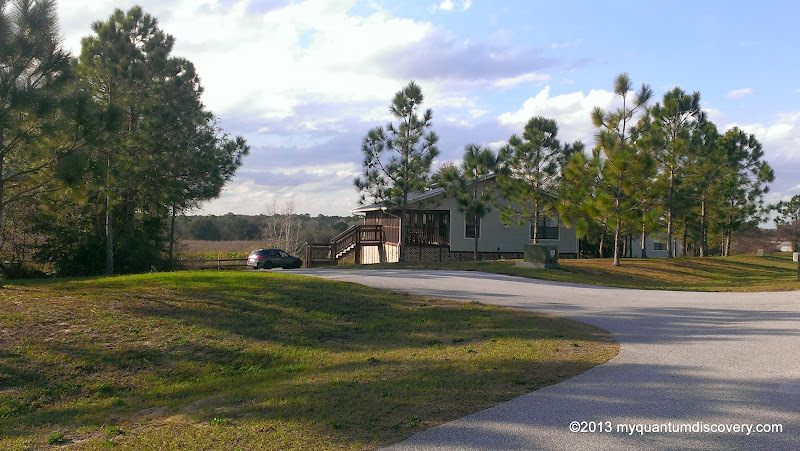 Wednesday, the 8th, was our last day at Lake Louisa for this particular stay – our next destination was back to DisneyWorld. Didn’t we just leave there you are probably asking? Yes, but we had a good reason to return – we’ll explain why we went back in our next post. We actually stayed at Lake Louisa twice from the 5th to the 7th and then again from the 11th to the 13th with Disney World in between. For the second stay, we booked site #4 but that was unavailable for all three nights so on the 13th we had to move to a different site – #50 (photo on the left). Kind of a pain having to unhook everything, bring the slides in, etc. just to move down the road, but the price was right! The rest of this post covers our stay at Lake Lousia from the 11th- 13th. We did our usual bike riding around the park and ran a few errands. Each night we had a campfire which is always neat. Saturday night we watched the Pats beat the Colts to clinch the AFC Championship. More football on Sunday watching the Denver Broncos beat the San Diego Chargers. Darn, we were hoping San Diego would win so we wouldn’t have to face one of the Manning brothers again. Oh well, we’ll keep our fingers crossed on the 19th when Payton Manning and Tom Brady go head to head. And of course one of our favorite team players, Wes Welker, now plays for the Broncos. Oh dear, it could be a major nail biter! 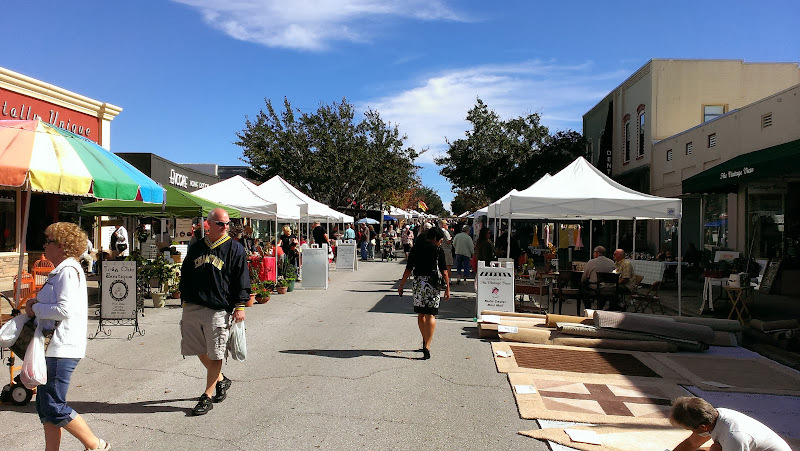 On Sunday we went to downtown Clermont to the Farmer’s Market where we bought some locally grown tomatoes and a few other veggies. Monday we went to a nearby Bob Evans for breakfast, then stopped by AAA so we could change our membership to our new FL address, then one final trip to Publix to stock up. 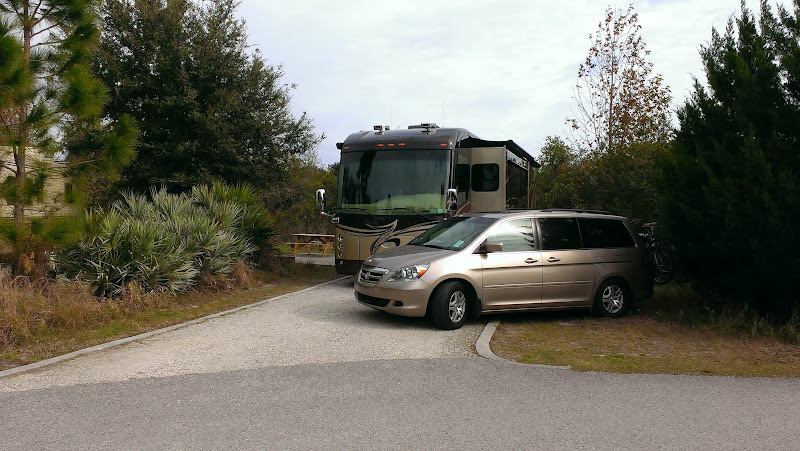 When we awoke on our day of departure, Tuesday, the 14th, it was pouring but luckily it stopped in time for us to get ready to leave for our next destination, Quail RV Resort in Wesley Chapel, FL outside of Tampa. 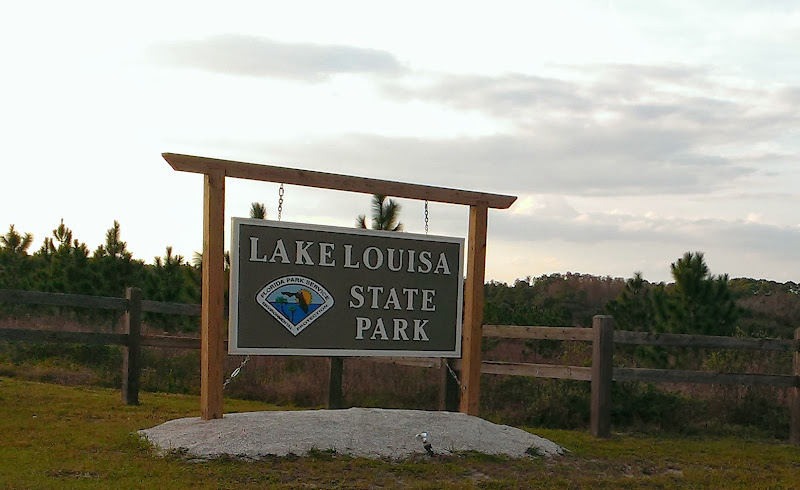 Lake Louisa SP sounds pretty nice! Good info. Glad you had a good stay(s) there. Jeff, I forgot to mention there are some nice looking rather large cabins at Lake Louisa – maybe a possibility for you for some future winter visit. Added a photo to the original blog post.